6 beautifully island style decorated apartments with separate entries. 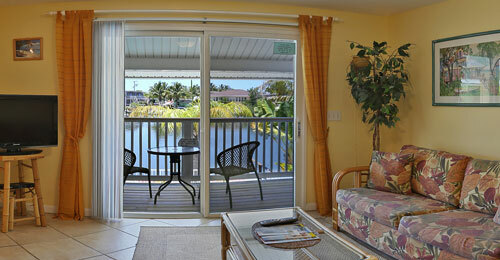 All units are poolside, overlooking the tropical pool area and picturesque lagoon. Book Online, send Email or simply click to call 239.463.6906 for availability and reservation. See you soon here in paradise for an unforgetable vacation. Our beautiful Studio Apartment features: 1 Queen bed, sofa, fully equipped kitchen, patio at the pool. Our One Bedroom Apartment Poolside features: 1 Queen bed or 2 double beds, living room with sofa sleeper, fully equipped kitchen, patio or lounge area at the pool. Our One Bedroom Apartment Balcony features: 2 double beds, living room with sofa sleeper, fully equipped kitchen, upstairs with balcony poolside. 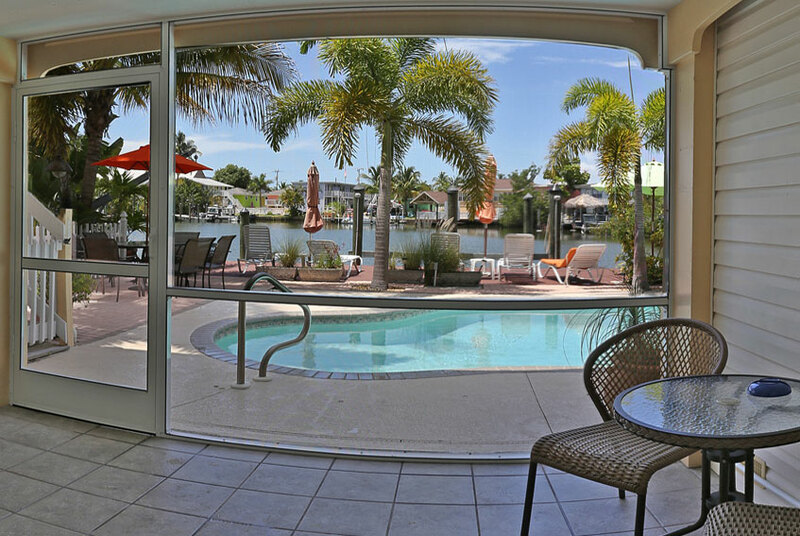 "For six years in a row - 2011-2016 - TripAdvisor has awarded Manatee Bay Inn the highest certificate on behalf of travelers across the globe. 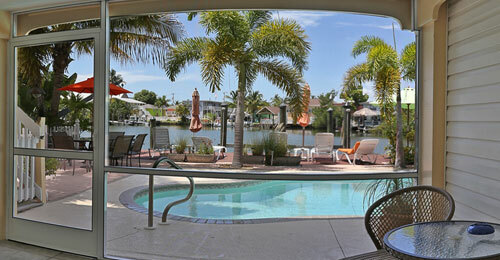 Ranking #1 of 7 B&B's in Ft. Myers Beach. We are proud to see Manatee Bay lnn recognized by our valued customers as one of the very best in the business. Thank you!" 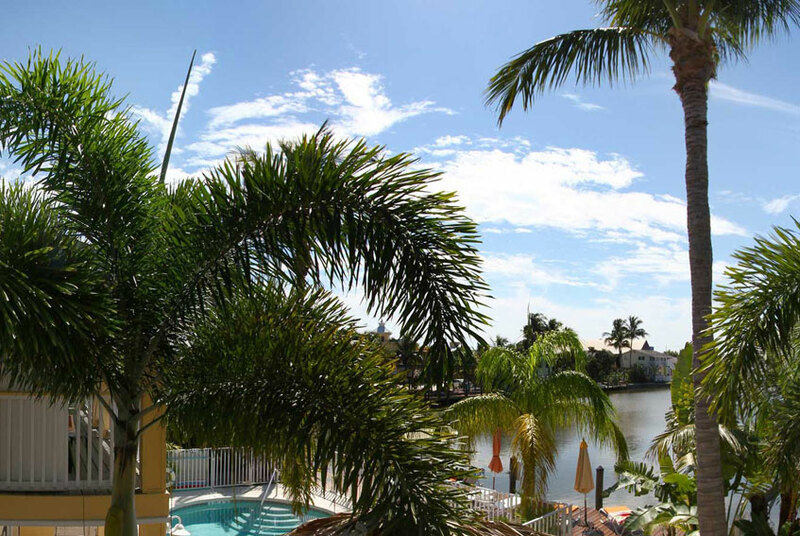 A tropical waterfront bedandbreakfast style small Inn Hotel in a quiet prime location in the heart of Fort Myers Beach downtown district and just foot steps away to the beautiful white Gulf beaches. Our Downtown Entertainment District location will turn your island paradise vacation into an unforgettable experience. Shopping, Entertainment, and Restaurants all within easy walking distance. © 2015 - Manatee Bay Inn. 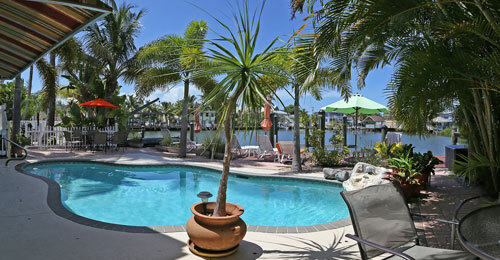 An Island Bed & Breakfast Ft. Myers Beach, Florida.